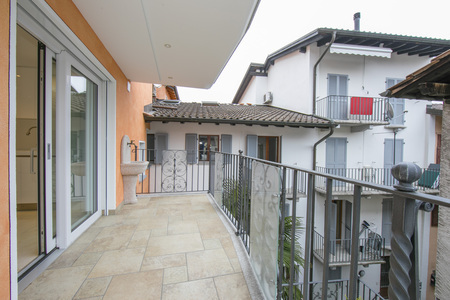 Enjoy soaking up the pretty Old town of Ascona, from this exclusive 2-bed balcony retreat for 6! 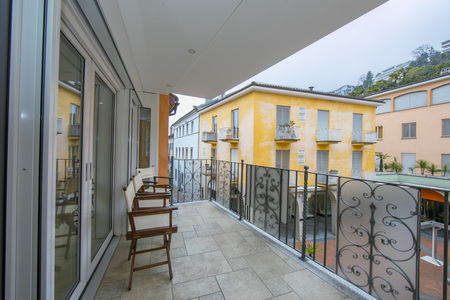 Positioned in the heart of Ascona’s pedestrianised Old Town, this beautiful balcony apartment provides a chic, restful haven for 2-3 couples. 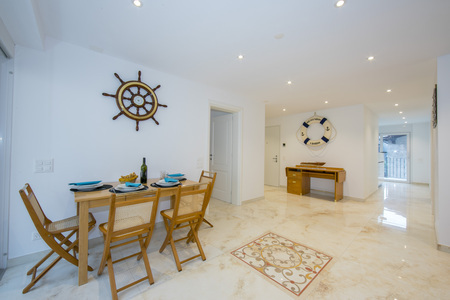 Its enviable location and smart re-vamped interior offers an exclusive holiday base for those hoping to be close to the thriving bars and restaurants. Inside, the 2nd floor spot-lit apartment is easily reached by lift and offers a generous layout in which to unwind and entertain. The sophisticated coastal-inspired interior provides a relaxed and engaging space in which to enjoy timeless meals together and social moments before enjoying a classic day of sightseeing and a day of alfresco wining and dining in the Old Town. A beautiful Living room with direct access to a stunning balcony terrace overlooking the vibrant street scene, invites guests to feel immersed in the beating heart of Ascona. A stylish sofa suite and flat screen TV also welcomes those in search of a cosy night in front of the TV. 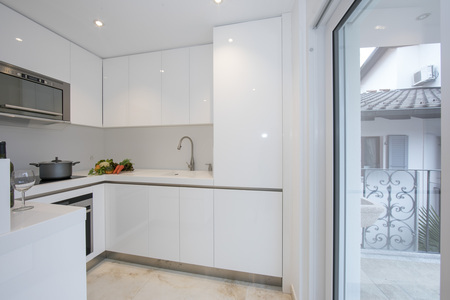 The spacious room also features a stylish dining area and leads through to a modern separate Kitchen, also with balcony access. 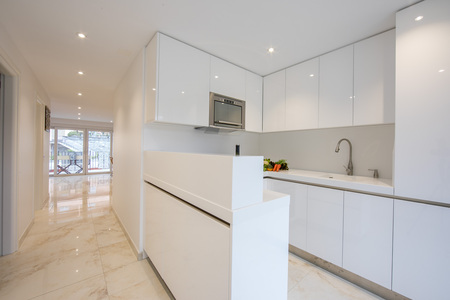 Guests looking to embrace a fun self-catering stay will find the sleek integrated units fully-equipped with an induction hob, oven, microwave, electric kettle, coffee machine, toaster, dishwasher and fridge freezer. 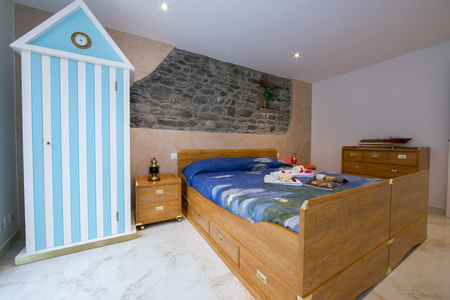 Similar to the uplifting Living room, the boutique Master bedroom with balcony access is finished with a quirky coastal theme in mind; with a beach hut wardrobe accompanying gorgeous bedroom furniture and a custom quality Double bed. The retreat also benefits from a second Double bedroom for a 2nd couple and a versatile Double sofa bed in the Living room, enabling up to 6 to stay. 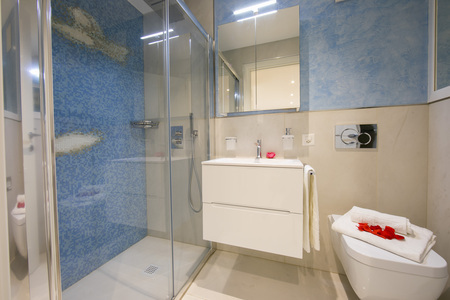 The luxury accommodation is accompanied by two sleek fitted bathrooms (one with a bath tub, the other with a shower cubicle), alongside a washing machine and tumble dryer for guests’ use. 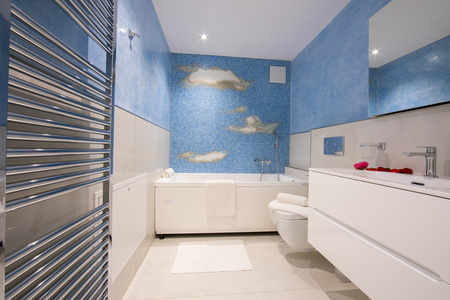 The 2nd floor apartment features in a 3-storey residence with lift access. 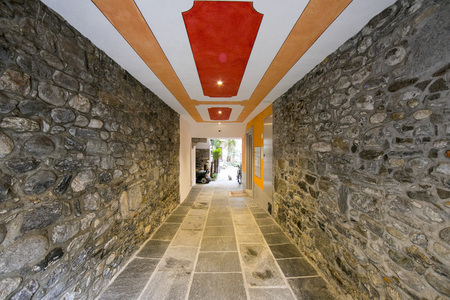 Directly outside, guests can enjoy a plethora of shops, cafes, bars and restaurants in the buzzing old town centre of Ascona. The pedestrianized setting is ideal for those looking to leave the car at home. Key Features: • Newly modernised apartment • Captivating coastal-inspired interior • Flat screen TV • Separate Kitchen • Private balcony access • Situated on the 2nd floor, with lift access • Perfect for larger groups too, being next door to the building of King Apartment 2.5 (ID 2578) • Located in the buzzing old town of Ascona, with shops, bars and restaurants to enjoy • For cars, the pedestrianised part of town is 400 metres from a parking lot (daily charge applies) Sleeping: Master Bedroom: Gorgeous boutique-feeling Double bedroom with balcony access & beach hut wardrobe Bedroom 2: A stylish Double bedroom, perfect for a 2nd couple looking to stay Extra: Upon request, a Double sofa bed for 2 extra guests can be utilised in the Living room Bathrooms: Bathroom 1: A contemporary suite fitted with a bath tub, wash basin & WC Bathroom 2: A sleek modern suite equipped with a shower, wash basin & WC Additional: • Central heating • Hairdryer • Washing machine • Tumble dryer • Upon request a portable WiFi device can be hired (for an extra cost) • No alfresco dining set (only 3 chairs) • 4 internal steps • 31 external steps (if not taking lift) Location: The apartment’s position along ‘Via Borgo’, in the pedestrianized historical centre of Ascona, provides carefree access to a variety of cafes, bars, restaurants and boutique-high street shops. Guests will also find the Museum of Modern Art along the same street and another town art museum just around the bloc. Each June, Ascona also plays host to the annual Jazz Festival, so is a great holiday choice for music lovers. Guests choosing to bring a car will find an ‘Autosilo’/ car park approximately 400 metres away (parking charges apply). Guests are well placed for reaching the local Lido and Golf Club (both 2km away). 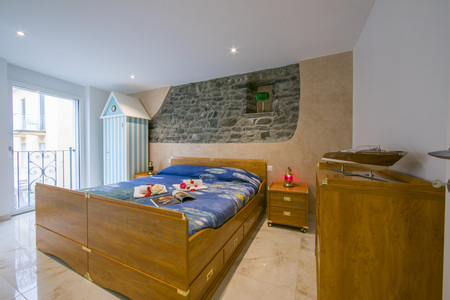 Approximately 300 metres away, guests will find useful bus links to many locations, including Locarno and Brissago. 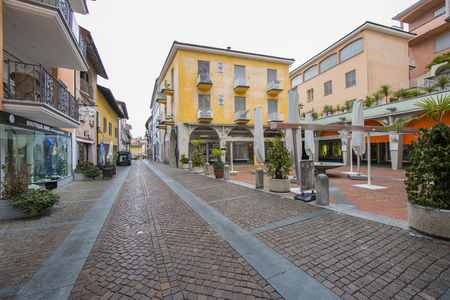 The lakeside centre of Locarno with its shops, amenities, train station, Lido, falconry centre and popular Castello Visconteo medieval castle museum are all a short 8-10 minutes’ drive/ bus ride away. Other nearby highlights and ideas for the perfect day trip include visiting Bellinzona (32 minutes’ drive away) and enjoying some fun and action at the Monte Tamaro adventure park (44 minutes’ drive away). August 2018 Grandioser Aufenthalt. Sehr saubere Verhältnisse im Appartement. Sehr freundliche, spontane und kommunikative Gastgeberin, welche per SMS oder Telefon jederzeit erreichbar ist und antwortet. Joelle, Germany " Joëlle Reutlinger "
May 2018 The apartment was comfortable and very beautiful, right in the center of old town, close to the lake promenade. The host was proactively communicating with us with no problems with our late check-in. I would recommend staying here for your next vacation. Visnja, USA " Visnja Katalinic "